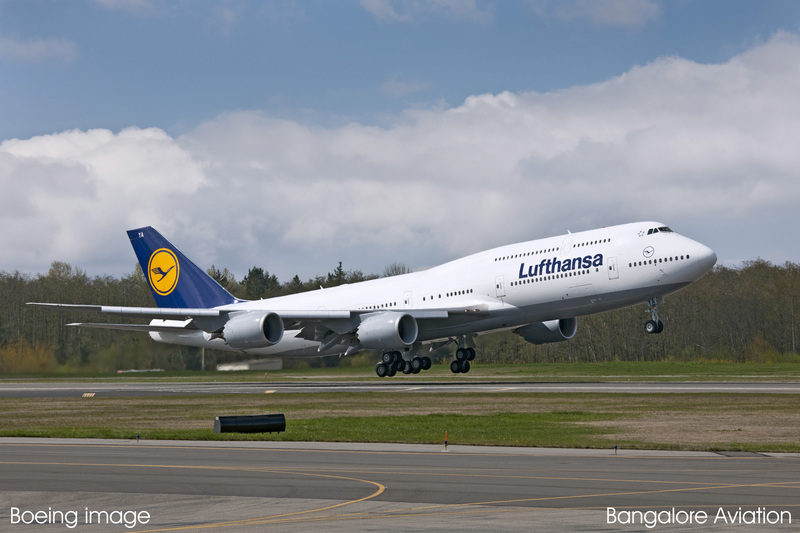 Home >> Airlines >> European Airlines >> Lufthansa >> Lufthansa commences Boeing 747-8i service to Delhi, first Asian destination. Bangalore in September? After unsuccessfully trying for almost two years to be the first airline to operate the Airbus A380 superjumbo to India, German carrier Lufthansa, is doing one better, and bringing to its second largest international market, its latest aircraft, the newest avatar of the venerable Boeing 747, the 747-8 Intercontinental or B748i in short. From Monday, the nation’s capital Delhi, will become the second global, and first Asian destination to be served by the newest “Queen of the Skies” which is outfitted with the carrier’s latest business class product (see photos and video here). LH 760 departs Frankfurt at 13:45 and arrives Delhi at 00:35 early the next morning. LH 761 departs Delhi at 02:25 and arrives Frankfurt at 07.10 the same morning. 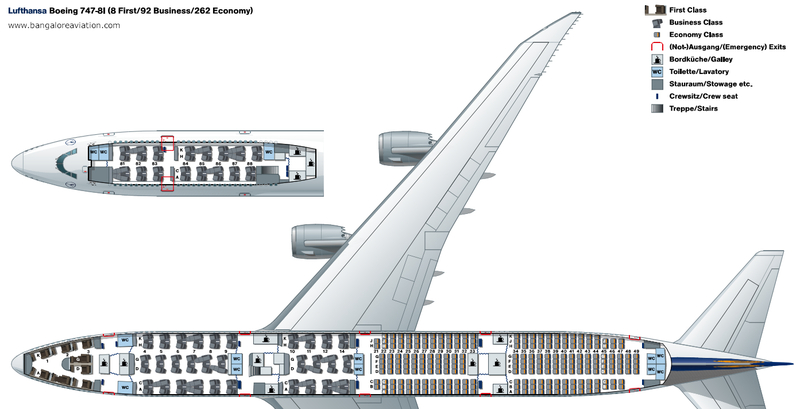 The 747-8i is configured with 8 first, 92 business and 262 economy class seats. In a departure from the Boeing 747-400s, the first class in the B748 goes back to its traditional location, in nose section. The first class is the same as that on the airline’s A380s, but has additional sound-proofing to make it the quietest first class cabin in the world. The business class is also in a traditional split configuration with 32 seats on the upper deck and 60 on the lower. The economy class seats are said to be 52 cm wide which are an astounding 20.47 inches, making them even wider than the business class seats which are 50 cm wide in the upright position. The business class seats though widen to 67 cm with the armrests dipping, when the seat is reclined. For big guys like me, this economy class is a god-send. All three classes feature individual video screens with a full AVOD IFE (Audio Video On Demand In Flight Entertainment) system. This PDF document has complete details on Lufthansa’s Boeing 747-8i cabin product. With this 747-8i launch Lufthansa finally connects its two largest markets, the United States and India with its newest cabin and aircraft products, thus overcoming a long standing complaint of passengers. Lufthansa is the launch customer for the 747-8i. Since the start of June, the first aircraft, D-ABYA, has been deployed on the Frankfurt-Washington Dulles route. The carrier took delivery of its second aircraft, D-ABYC, just a few days ago. It is receiving final fitments and touches at the airline’s home base Frankfurt before starting its Delhi service on August 6. A further two 747-8i, from the total order of 20, are scheduled for delivery in 2012. D-ABYD, the third aircraft, had its first flight just yesterday. 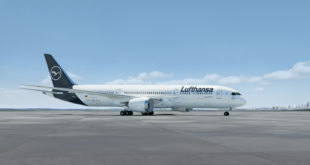 Based on our best judgement, this aircraft is expected to join the Lufthansa fleet in late August or early September. 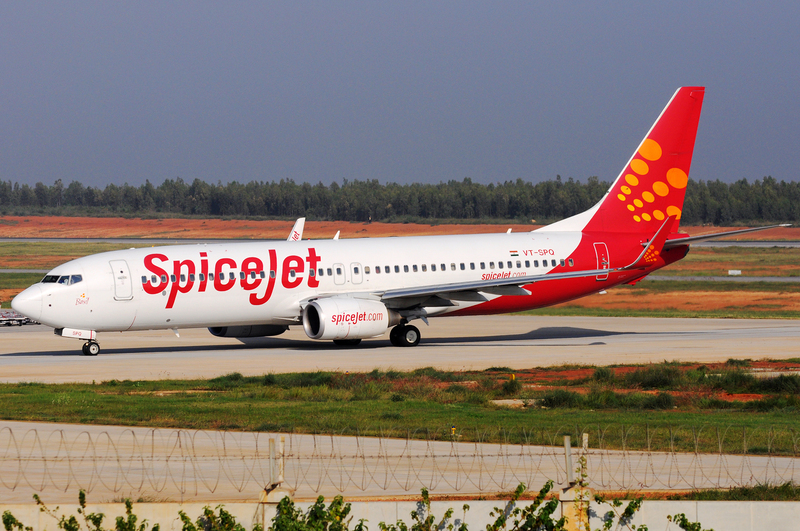 Bangalore passengers can expect the airline to announce its Bangalore service soon. Share your thoughts. We invite your comments on these developments. What are your thoughts on the 748i? By now offering a modern cabin product, do you feel Lufthansa will be able to build passenger numbers? What are your thoughts on the 52cm wide economy class seat? What feedback would you like to share with Lufthansa? Yes, they do read Bangalore Aviation. Next Bangalore Aviation crosses 2.3 million page views. Thanks dear readers and contributors.